Your Organization's Board Portal Solution! If your board is looking for a more cost-effective, paperless solution that centralizes all board documents and information, this is the next generation Board Portal for you. BoardPaq offers easy-to-use Board of Directors Cloud Service and Apps that encourage effective member communication and collaboration before, during and after meetings. BoardPaq empowers boards to be great. Our number one priority is maintaining the confidentiality of your Board materials and deliberations. This is fundamental to the design of BoardPaq, though you may adjust these security features to meet the needs of your organization. BoardPaq has the advanced features you want without the high costs to go along with them. End-user apps for iPad, Windows and Web Browsers all operate the same way. This one look and feel approach lets users feel comfortable with any device. Simple, one-touch options keep everything at your fingertips. Organize and manage all your information in one central location. With multiple admin permissions you can split up the work across our groups. Manage last minute changes and updates in real-time. Save precious time with tools like agenda builder, minutes builder, reporting, and more! With BoardPaq’s simple and easy layout, navigating the site is a breeze for any skill level. Users can access the app from any device they are comfortable with, which makes the transition smoother. The app will display only the features you are using, allowing you to choose your implementation pace. "FivePoint began using the BoardPaq application in September of 2012, after seeing a demo of the product at the National Directors Convention. We had been looking to replace what we were currently using as our board packet delivery system. The BoardPaq application fit our needs and was much easier to navigate for our Board members. Members are now able to use their iPads during our Board meetings. The BoardPaq application is very user friendly on the Board side as well as the administrator side. We love BoardPaq." "When we first implemented the BoardPaq app, our intention was to "test the waters" for a couple of months and gradually add other committees one at a time. The response was so good that we had requests to put these committees on the app almost immediately. If something is added or changed after the packet has been released, we can quickly update the information and our members are able to access it instantly rather than receiving the information at the meeting." "The Board of Directors and Executive Team at Pima Federal Credit Union have been utilizing BoardPaq for several months. The portal is easy to use and administer on both Apple and PC platforms. 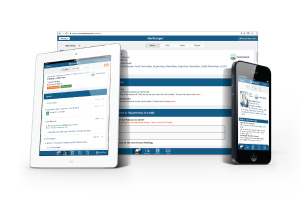 The BoardPaq Admin Center notifies administrators directly of any new features and upgrades and the BoardPaq technical support team and/or representatives have been readily available when needed. It is a professional, efficient, and convenient way to prepare and present meeting materials." "Non-profit organizations don't have time, money, or personnel to waste in today's lean climate. BoardPaq lets us harness the power of the cloud by making paperless meetings and the online flow of materials and information to our members an easy and affordable reality." "BoardPaq’s security features allows the bank to restrict access to certain documents and information based on which meetings members need to attend." Your free demo and your paid subscription help plant trees around the world! 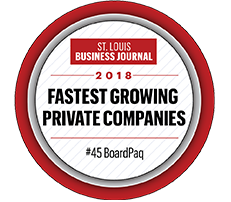 At BoardPaq, we value people and purpose. That's why we've partnered with Good Meets World and One Tree Planted to help make a difference. Less Paper. More Trees.